I started recapping my Instagram snaps last month in my January Instagram Snap Recap. I’ve been trying to grow my Instagram and I realized that meant posting content that was different from what subscribers were already seeing on my blog. I grew about 250 followers on Instagram in February. I know for some that may not be a lot but for me it’s wonderful. My goal is 1k by the end of March! In February I played around a bit with a pink theme, but I tend to get quickly board of doing only one colour scheme. My entire makeup collection can fit inside one box so it’s limiting to restrict myself that much. I had moments of loving me feed and hating it, but in the end I think it’s improving. Next month I’m hoping to get a better camera to up my photo game! 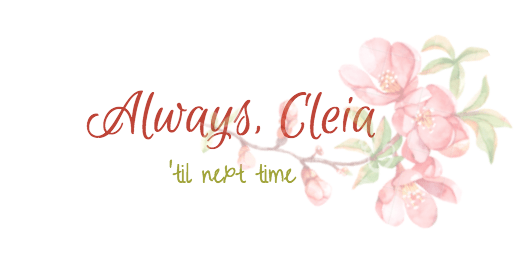 *These aren’t showing up in the reader, but head to alwayscleia for the full post! A preview of Friday's blog post featuring my Top 10 Winter Skin Savers ❤ My skin always gets so dry in the winter, but luckily I have a routine going right now that seems to help. One of my favourites right now is the @sundayriley Luna Sleeping oil. It helps minimize redness, leaves my face super soft in the morning & contains retinol for anti aging 😘 I've also been loving @deco.miami cuticle oil in these drier months. Simple makeup, I overslept and didn't feel like fussing today. I'm still in my PJs here 😅 I used the ColourPop Give It To Me Straight Palette again as well as the Aquarius Lippie Stix. As promised today's blog post is a first impressions of the @colourpopcosmetics Give It To Me Straight palette! I love how this smokey mauve eye look turned out 😍 #colourpopme Did you guys buy this palette!? I played around with a lot of flatlays and reposted a few pictures from my blog but I try to have at least a 50/50 balance as I know not all my subscribers transfer between platforms. I’m seeing that I need a better camera for my makeup look photos, my 8 Mega-pixel camera just isn’t cutting it anymore. Are we instagram friends? Let’s connect! That’s a lot of followers to gain in a month, at least for me! My growth on Instagram is so ridiculously slow, it’s painful. Is it because I don’t post enough? I just can’t figure it out. It’s so tough to have a cohesive Instagram theme – I love so many different themes! I feel like yours is already pretty cohesive! Honestly, I think the quality of your photos is really good – to me it doesn’t look like you need a new camera! I love your feed, it looks cohesive to me! I love the soft pink you have in your theme right now is so eyecatching! I’ve read that too! I do try to like as many photos as possible, but it’s difficult to comment as well without it taking a lot of time out of enjoying “real life”, ya know? Maybe that’s something I have to work on. Haha, that’s fair! I’ve never been able to take eye looks using a camera, they always end up blurry – I use my phone! Exactly, and it’s probably not the healthiest to be glued to your phone 24/7. I think that’s great that you aren’t always connected to social media! My phone camera just isn’t that great. The Front camera is awful so I have to use the back camera with a clip on right light and hold up a mirror while trying not to block the light, it’s such a process! I hear iphones are great for makeup photos though! It’s definitely a trade-off, I find. If I spend too much time on my phone, my “real life” suffers, if I try to focus on being present, my social media suffers. I haven’t found the art of having a balance yet! Right?! Like why is a cohesive grid a thing? I don’t often go look at people’s grid anyways, but just usually browse their photos on my feed. Haha, I take my photos with the back camera & a mirror currently and totally know what you mean about trying not to block the late. Yes, I hear the same about iPhone cameras!